With over 150 years of combined experience and a brand that’s stood the test of time, you can trust that we’ll provide you with the best heating service in the area that will keep you warm all season long. Regular maintenance helps prevent costly repairs and replacements down the line. We’ve got you covered and offer some of the best maintenance plans around. We’ve been a trusted company since 1978, and we let our work speak for itself. Read testimonials from our satisfied customers and learn about how we can better serve you. At United Service Specialists, we specialize in stopping problems before they disrupt your comfort. With thorough service of all makes, models, and types of heating equipment, we pinpoint potential malfunctions, ensuring more reliable and lasting operation. United Service Specialists specializes in a complete range of commercial HVAC services for both new construction and retrofit into existing facilities. Along with design/build, we offer seasonal maintenance and prompt repair, and tailor our recommendations and strategies to perfectly suit your goals and requirements. United Service Specialists provides a complete range of expert, residential plumbing services. No matter the challenge, you can count on our licensed and qualified plumbers to deliver a lasting solution. Combining flexible scheduling with timely arrival, tidy job sites, and a team of fully-equipped, extensively trained specialists. Our success and longevity of over 35 years in the DC-MD-VA area is a testament to the high level of quality service that our clients have come to expect and always receive when being served by our technicians. All of our technicians are polite, certified, and throughly trained and United Service Specialists is proud to employ the best in the business. United Service Specialists provides a wide range of expert services throughout Gaithersburg, MD and surrounding areas, promoting superior comfort and management of your home or commercial facility. Contact us at (301) 924-3500, and we’ll simplify challenges through flexible scheduling, prompt arrival, and streamlined completion of all jobs. Targeting energy efficiency, safety, equipment reliability, and sustainability, we protect your budget, earn your approval, and enhance the health and productivity of your indoor space. With over 150 years of combined experience, our fully licensed technicians remain current with cutting-edge technology and industry developments, delivering the ideal solution for your specific requirements. We specialize in new installation, retrofit, seasonal maintenance, and repair of all makes and models of HVAC equipment, including geothermal systems, zoning systems, ductless options, radiant heating, and indoor air quality accessories. Offering effective and affordable residential and commercial plumbing services, standby generators, duct cleaning, and home automation, there is simply nothing we can’t handle. Let our team handle all your heating & air conditioning services! 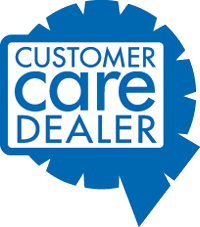 United Service Specialists partners with such industry leaders as American Standard, Rheem, Nexia, Honeywell, Nest, and Generac, catering to your specific goals without sacrificing our standards of quality. We are here to serve your best interests and remain on-call for after hour services throughout Gaithersburg, College Park, Rockville, Germantown, Clarksburg & North Bethesda, MD. "I would absolutely use them again -- I had never used the company before but was convinced to try them because of the great Angie's List reviews and the fact that they were recommended by our realtors (Mandy and David)... and I'm so glad I did!" "Repaired two leaking valves and snaked a drain. Arrived on time and go to work immediately. Concentrated on his work and did the job quickly and efficiently. Clean up his work area so that it looked like it did upon his arrival. Explained what he did, had us sign his work slip and departed." "I had hired them to replaced pipes leading from bathroom and pipe in basement cement floor, including resurfacing basement floor. [The technician] did a good job of diagnosing the problem. The repairs took two days, and they were attentive and clean up at the end of each day. " "I recently had a complete HVAC replacement. The building is 4 stories and a crane was needed to replace the unit on the roof. I got two estimates and they came in substantially lower. The work was done perfectly. [The technician] was knowledgeable and accommodating." "They made an emergency call on a Saturday evening to diagnose a problem with our heat pump and humidifier. Our technician was very professional and communicated well what was happening and what we needed to occur. He was able to solve the problem quickly and efficiently." "Troubleshot furnace issue and provided repair - price included parts. He arrived at scheduled time, discussed issues we were having with our gas furnace. Was able to quickly identify the problem and repair quickly. Very happy with service." "[The technician] repaired my bathtub faucet that was broken off at the pipe. EXCELLENT SERVICE.. I am SO HAPPY to have found a GOOD plumber.. and local...Was here waiting for me before the scheduled time... Very nice people. I will hire them again in a heartbeat. Thanks guys!"